Great Websites for Horticulture Students Sep 06, 2018 If you are currently studying a horticulture course with us, we’ve compiled a list of sites we think are a great help. In no particular order of preferenc.. So You Want to be a Gardener? Nov 29, 2018 For those of us who dream about a life outdoors and earning our keep with the work of our bare hands, perhaps gardening is something that has been considered. T.. Perfect Stocking Fillers for any Student Dec 20, 2018 There are a few days left of Christmas shopping and we thought we'd put together a list of great stocking fillers for different types of students! Maybe..
Hello Hamza and thank you for getting in touch. This is a level 5 course, assessed to be at the level of a HND, but not equivalent to because it is a different type of course. It is suitable for a beginner because it will deal with the basics and then build on them to give you a solid foundation in Garden Design. It is important to know that level 5 doesn't relate to how difficult a course is, but relates to the learning outcomes. I hope that this is helpful and please let us know if you need more information. 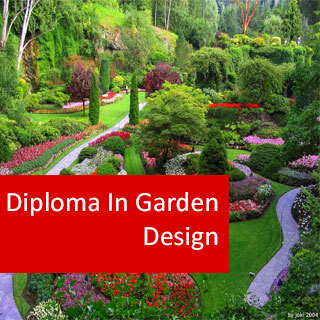 Diploma in Garden Design course online. Become an expert in garden design. This is an effective training program for people working, or wishing to work, in the landscape industry; either in their own business, or at a supervisory level. It develops the student's design skills and knowledge in other areas of landscaping (eg. horticultural practices, management, plant identification and use, and marketing). Students will learn to draw landscape plans, compile specifications, and prepare cost estimates. Discuss the principles Garden Design. Develop a foundation for systematic identification of plants and systematic determination of cultural requirements. Develop an awareness of different styles of gardening, principally through the study of the history of gardening. Develop the basic skills of landscape drawing as well as developing a basic understanding of contracts and specifications. Identify soil conditions appropriate for a garden design. Identify and properly account for environmental conditions within a garden design. Determine earthworks required for a garden design. Consider the relationship between design and construction when designing a garden. Determine appropriate garden structures for a garden. 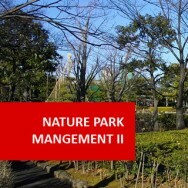 Evaluate the functionality of a park design. Evaluate the design of a home garden. Develop an appreciation for the impact that design can have on the cost of a garden. Discuss the functionality and design of surfaced areas in a garden or park, including paths, trails and sporting facilities. 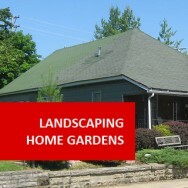 Discuss the scope and nature of tools used to landscape gardens. Discuss ways that plants may be better established. Discuss the use of Rock, Stone, Brick and Concrete in garden designs. Discuss the appropriate use of lawns in garden designs. Discuss the design of natural gardens. Discuss the design of cottage gardens. Discuss the design of children’s play areas. Discuss the design of garden beds. Identify Management skills required to be a commercially viable garden designer. Explain methods of rehabilitation of degraded landscapes. Discuss the relationship between garden design and maintenance. Explain how a garden designer should successfully deal with clients. Prepare a significant garden design. Find a site to be landscaped. (It could be a park or home garden; it could be a new development or a redevelopment of an older garden). Visit the site and record pre planning information required to design the landscape. Find five examples of the use of landscape principles. Using sketches and written descriptions, describe the way the garden has been laid out in order to achieve those particular effects. Find gardens which represent three different styles. Submit a photograph or sketch plan of each along with a half page written description of the style of the garden. Explain any historical influences, including the influence of those who build to owned the garden. The gardens may be gardens you have actually visited, or can be gardens you have seen in a magazine or book. Copy the drawings of symbols (ie. drawings which show you how to represent plants, walls, rocks, etc. when you draw plans). Practice drawing these various components of a landscape. Using the pre-planning information collected, produce a design for that area. or part of that area. Take a sample of soil and attempt to name it using the test given. Obtain components of potting or soil mixes; make up different mixes and test their characteristics. Survey an area requiring earthmoving. Draw a plan of the area, to scale, showing the area to be excavated. Calculate the volume of earth to be removed. Calculate where it is to be put. Find three examples of bad selection of surfaces in a landscape (ie. home garden, park, sports oval, tennis court or whatever). Describe the material used and explain why they are bad. Consider both the aesthetic and functional qualities of the surfacing. Develop a redevelopment plan for an existing park. Submit a photograph of the park as it exists at the moment (otherwise submit a rough sketch). Prepare a design for redevelopment in line with the suggested changes. Choose an established home garden (your own or a friends), and draw a sketch plan as the garden exists. Explain how well do you think this garden is designed? Find another home garden, needing either a new design or redevelopment. Prepare four rough sketches showing the stages you would go through in designing or redesigning that particular garden. 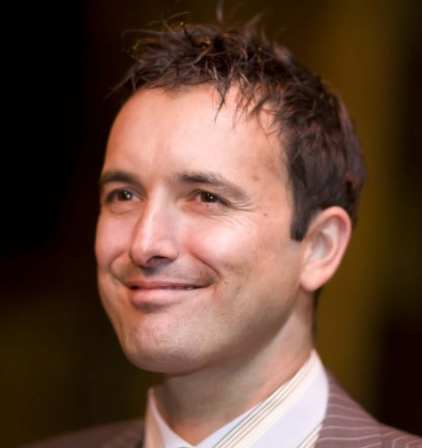 Develop a detailed explanation of how you prepared your costing in the set task. Show the various components of the costing and explain how and why you costed it this way rather than higher or lower. Design a trail. It can be any type of trail (fun & fitness, nature, history, etc.) and may be located anywhere (a street, park, home garden, etc). Find and visit some recently landscaped gardens (completed within the last 4 months). Visit up to three different properties. Take note of any problems with the maintenance. Consider what could have been done to prevent these problems occurring. Prepare a plan for the establishment of a large number of trees in a degraded area. This plan should cover at least 5 years. You should indicate clearly what the problem is and how you are going to use the trees to help rehabilitate the area. Design a water feature (eg. a pond or creek bed) for a bush or natural garden. Submit plans and a step by step description showing how you would construct such a water feature. Design a rockery area for a bush garden.